The event, emceed by Sonia Zarbatany, featured a live performance by Bach Before Bedtime featuring Montreal Clowns, a petting zoo, mascots, reptiles, a dance party, sing alongs, games, art and more. Entertainment providers who graciously donated their time and talent include: Mini R.E.C. by Le R.E.C. Room, Reptizoo, Montreal Princess Party, La La Lesley, Everblast, Funtastik Boogie, the Wondering Artist, Wee Chefs, Emmy Aronovitch and the Monalea petting zoo, courtesy of Alyssa and Bobby Stoller. Participants enjoyed snacks and lunch at the Food Pavilion courtesy of Urban Bonfire featuring some of Montreal’s finest restaurants and brands including Tuck Shop, Tejano Burrito Bar, Sumac, Rustique Pie Kitchen, Chez Tousignant, Arthurs Nosh Bar, Les Délices Lafrenaie, TCBY, Qualitifruits, Keurig and Agropur. The JFK Stroll for Kids event raised over $204,000 to help Just for Kids Foundation fund the purchase of high-priority medical equipment and special projects at the Montreal Children’s Hospital. One of these special projects is the JFK Sibling Park that caters to patient families by focusing on the often-overlooked healthy siblings of patients. This program provides overwhelmed parents with more time to bond with their hospitalized babies, alleviating the financial and time-consuming stress of securing additional childcare. 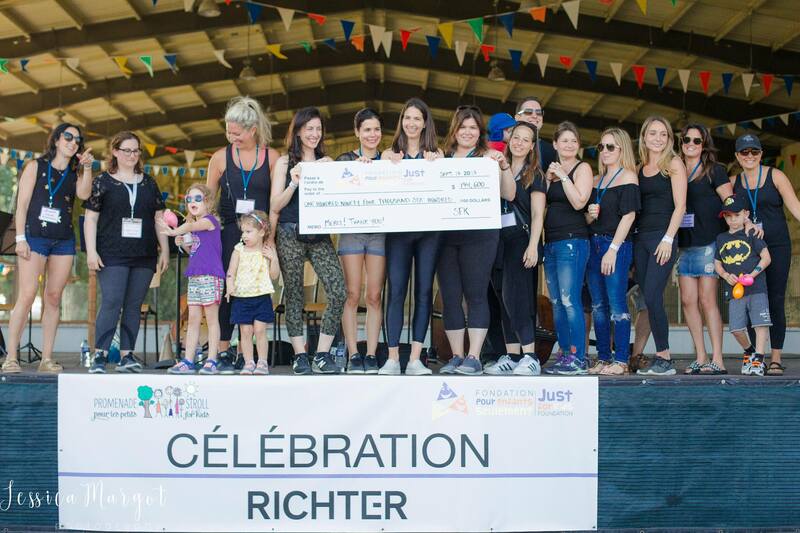 Our success was made possible with the support of our participant families, the tireless hard work and dedication of the event chairs and committee and the generous contributions from our sponsors including Richter and Pivotal Payments. A big THANK YOU from JFK and the young patients at the Montreal Children’s Hospital. 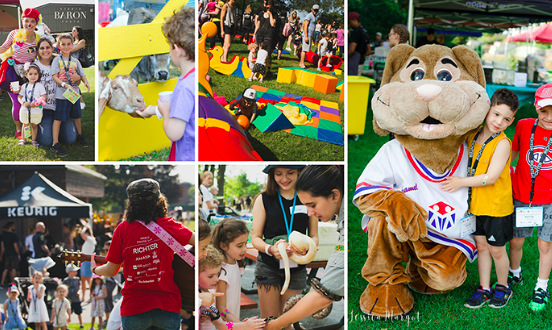 2017 Stroll for Kids committee: Andrea Abramovitch-Gates, Natalie Avram, Cristelle Basmaji, Ryan Bloom, Elana Fogel, Jordan Geller, Alana Greenberg, Mara Greenstone Agulnik, Jordan Grover-Pinchuk, Lindsay Hart, Jacklyn Hefter, Tania Kakon, Alfee Kaufman Garbarino, Mitchell Kujavsky, Jaclyn Mestel, Sara Miller, Orly Shapira Fayer, Samantha Singer-Guindi, Stacey Stivaletti, Camila Velandia et Mindy Zunenshine.